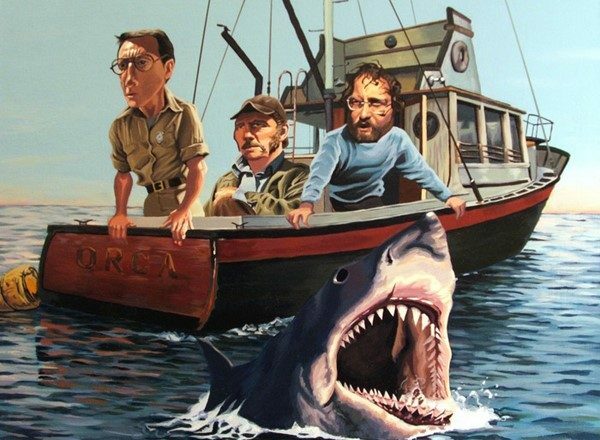 I have been defending this movie for thirty years and I stand by it today. This is exactly what it set out to be, a comedy that is a throw back to the Hope/Crosby road pictures, with a little contemporary humor thrown in. 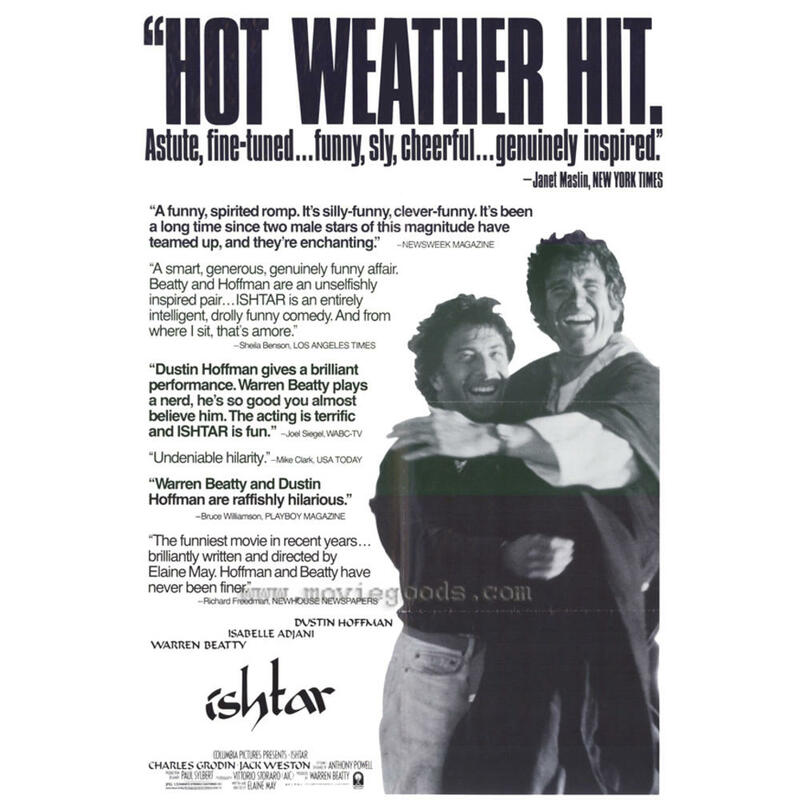 From before it even opened however, “Ishtar” has been the subject of invective, disinformation and derision, usually without having been seen. The fact that the most prominent TV critics of the era, Siskel and Ebert, panned it, probably contributed to the premature grave to which it has been buried for most of the last three decades. Look, I’m not saying it is an essential classic, I am simply arguing that it is an entertaining couple of hours that an open mind can get some enjoyment out of. Humor is subjective, my guess is that a lot of people don’t get “The Three Stooges” and they don’t think it is funny, but millions of others do. This film is the same, and I am challenging you to watch it and figure out which group you fall into. 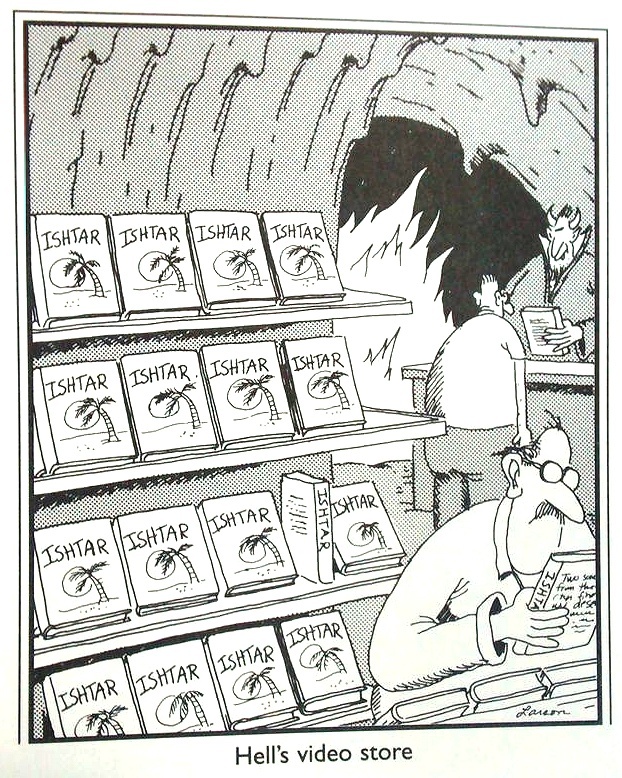 I will structure my argument that Ishtar has good humorous value in a chronological fashion. The opening of the film features Warren Beatty and Dustin Hoffman as songwriters trying to put together a new song. “Dangerous Business” may not be a good song, but it is a good example of the song writing process. These two bandy back and forth with lyrics and lines that try to move the structure of the song forward. They make several wrong turns and most of them are funny. When the word “herb” gets thrown in, that was funny, but it was even funnier when it got thrown out. We get some other quick instances of their terrible instincts in a series of songwriting attempts during some flashback sequences. Chuck Clarke has written a song for an elderly couple celebrating at the restaurant he plays piano at. This is their third year coming back to celebrate an anniversary, and Chuck promised to commemorate their long time marriage with an original composition. It is so accurate but also tone deaf that it defies reason that the songwriter doesn’t get it. Except that he is so sincere and also so confident in his unrecognized talent, he doesn’t even see the horrified faces of the couples family. Lyle Rodgers is equally as blind to his lack of talent. He is so involved with the song he is working on, that he doesn’t notice all the customers he is driving by in his ice cream truck. Every kid in the neighborhood wants a drumstick, and all he can think of is “Hot Fudge Love”. These are two obtuse individuals with the same dream and they happen to find each other. Academy Award nominated actresses Tess Harper and Carol Kane play the romantic partners of the two nitwits, but they are in the movie for all of two minutes. They clearly are aware enough that dumping these two is the only logical course. The fallout from these break-ups is part of the awkward humor in the opening act of the film. Lyle is devastated but it is Chuck, who was commitment phobic who really goes off the deep end. They attempt to bury themselves in work, but the guy who they approach to represent them suggests that they put together a singing act to launch their songs. This is where the second layer of comedy comes in. 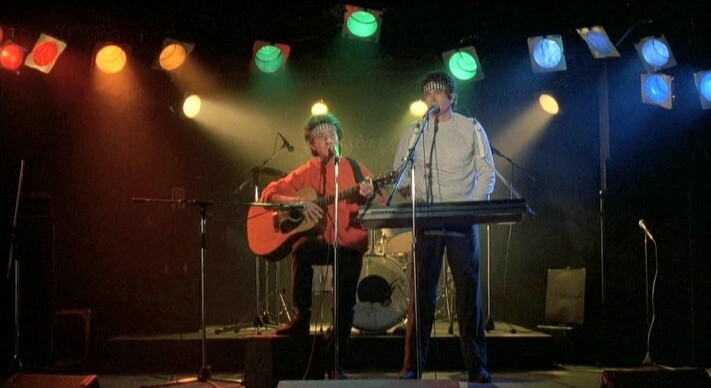 Chuck has the will but very little talent at performing and Lyle is so shy and introverted that he looks incredibly uncomfortable on stage. They are also both a little long in the tooth. 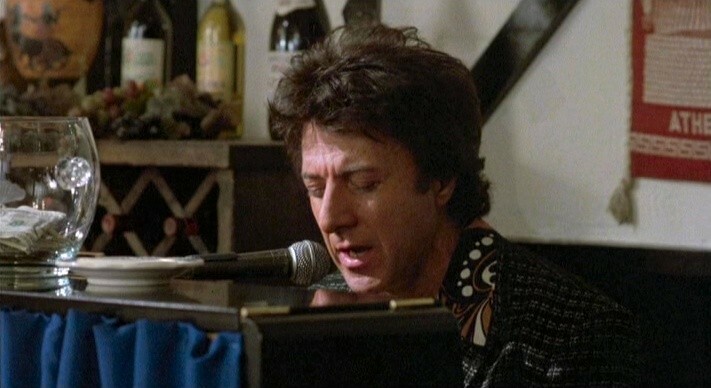 The sequences with them trying out their own songs are plenty funny because most of the songs were written by Elaine May, the director and a well known comic mind, along with Paul Williams, one of the most prolific songwriters of the era. I remember reading back in 1987, that Williams was planning a release of the fifty or so songs or parts of songs that he and May had put together for the film. It would have been comedy gold. Of course since the film did not live up to it’s potential, the album never got made. Interestingly, the characters do actually progress a little bit as entertainers. Of course improvement is a relative term. The astonished looks on the faces of the audience also mimic the looks on our faces as we are watching this. This is a very self aware presentation and it is supposed to be deliberately awful. It’s why their agent Marty Freed. played by the worn out and down trodden Jack Weston, can only get them a booking in Honduras, where the death squads are active, or in Morocco, which is next to Ishtar, where revolution is blooming in the desert. 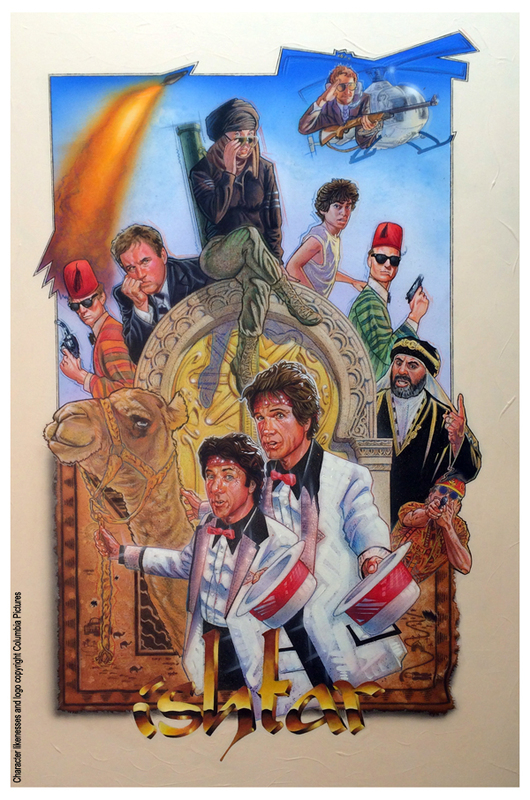 After a most humorous interlude [which includes Rabbis and SWAT]on the ledge of Chuck’s apartment building, where the two handle the most embarrassing suicide attempt since Dirty Harry or Lethal Weapon, they choose North Africa. So far, this movie has sustained it’s tone, created characters that we can laugh at and even sympathize with in spite of their deficiencies, and it has provided us with a justification for the change in scenery. Now the one section that is a bit of a slog, involves the set up of the two musicians with a plot device to put them in over their heads. There is a convoluted story about a map that portends the fall of a kingdom and two messengers from God. While the film skirts the contentious issues in the Middle East concerning Israel, the Palestinians and the Sunni Shiite rift, it does presciently forecast the fanaticism that is sometimes found in this part of the world. Cultures that can produce riots where people die as a result of a cartoon published in another part of the world, or a rumor over mistreatment of a Qua-ran can bring unrest, are on display in the fictional Kingdom of Ishtar. Hope and Crosby also got mixed in, usually by accident, with some big plot involving a power struggle in the places they visited. So too do Hoffman and Beatty. 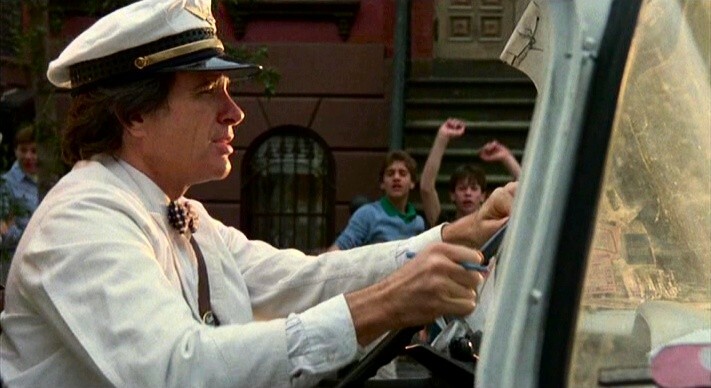 Chuck, who prefers the nickname “The Hawk” is approached by a mystery woman, posing as a boy, to obtain his passport so she can move freely between Ishtar and Morocco. He falls for the line “The Dome of the Emir’s Palace is made of gold. The people have never seen a refrigerator”.This becomes the insertion point for Isabella Adjani into the story and she serves as the Dorthy Lamour in this updated Road picture. At almost the same time a fourth character is added to the story, the mild mannered and duplicitous Charles Grodin as Jim Harrison, the local CIA station chief. 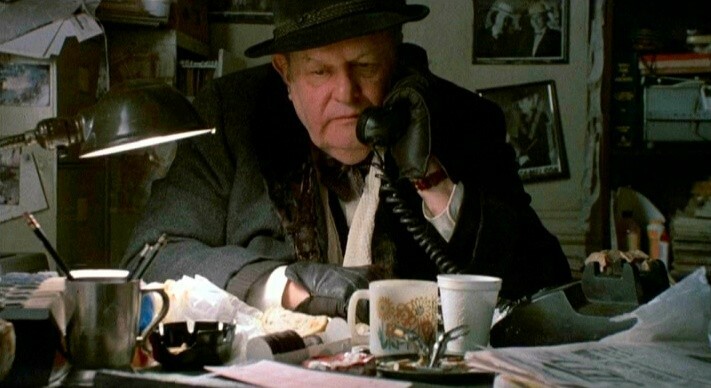 I can say with confidence, that if you do not find Grodin’s dry delivery and feckless spy craft funny, you will probably not enjoy the rest of the film. 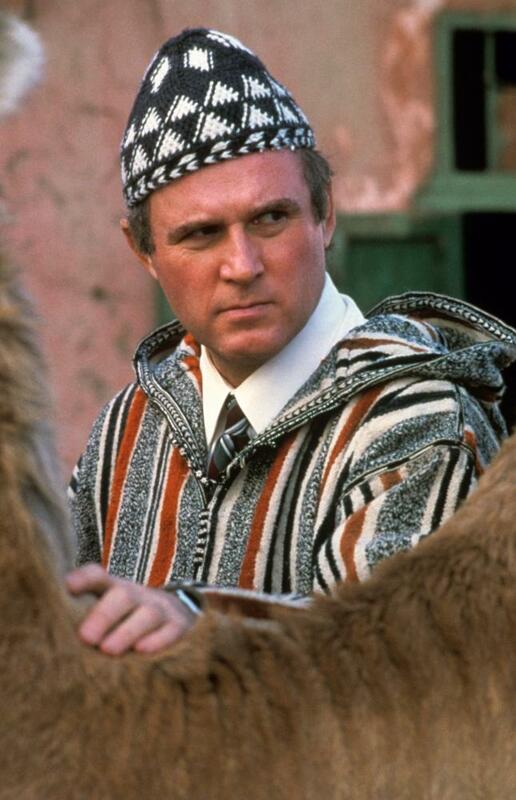 Most people however recognize that Grodin is an under appreciated comic treasure. Adjani is sometimes a protagonist but usually a love interest, Grodin is the real villain of the film and he is hysterical. 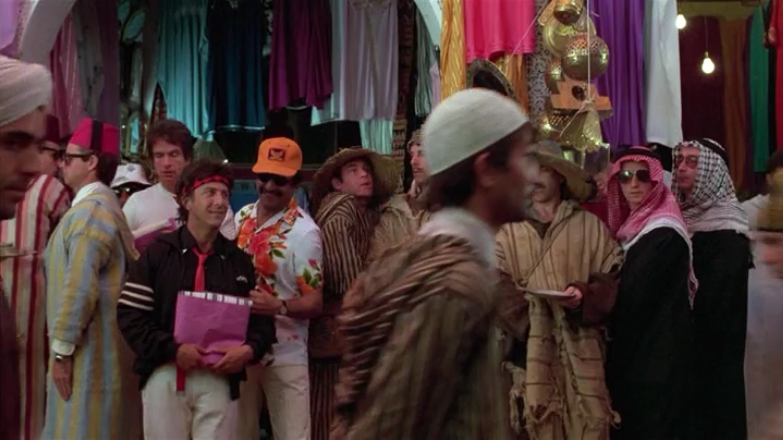 The sight of him in a djellaba and fez is pretty damn funny in itself. The notion that other agents might get away with it is even more amusing. There is a good chase scene where the two Americans, who have been labeled dangerous because they might be conflated with the messengers of God foretold in the map, are followed by the CIA, the KGB, the Emir’s Secret police and the revolutionaries trying to recover the map all at once. The costuming provides a large amount of the humor there. 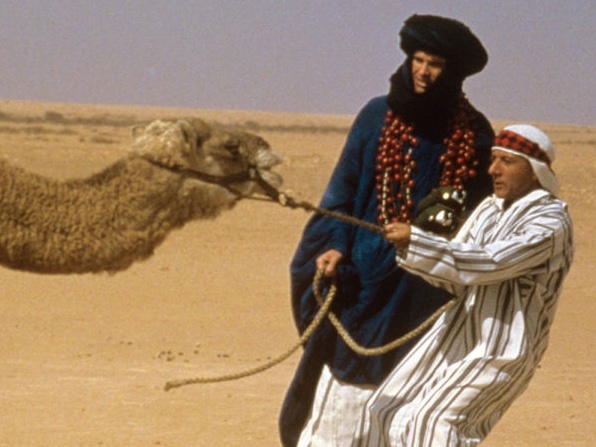 Chuck Clarke: You mean you bought a camel? Lyle Rogers: No, I didn’t really buy it. They SOLD it to me! Lyle Rogers: Oh no. I think that something went wrong and now I own a blind camel. A blind camel! The mistaken identity them reaches it’s climax as , after being lost in the desert, Rodgers and Clarke end up impersonating a Berber translator and a tribesman anxious to buy guns. I haven’t even mentioned the lengthy vulture and camel interludes that lead up to this moment. Suffice it to say, the dialogue is loopy, philosophical and matches the tone of the whole film. I have read some material that suggests that the film represents the naivete of Americans in the Middle East and that makes it a politically aware and forward thinking film. I’m not going to defend that point of view, I will simply say that all foreign policy is tricky and this film takes advantage of that. There is a pretty good summary of some of the misadventures of American policy “The enemy of my enemies is my friend.” I’ll leave the politics of the film to someone more motivated to discuss that. I just want to argue that the movie is funny. The nice thing about films that get a home video release is that they can be reassessed years later by audiences without those preconceptions, as long as they ignore the prior invective. Well now it can be told, I like this movie! I think it got such a bad rap because it was directed by a woman. Male directors are allowed multiple mediocre pictures misfires but women only get one shot…May has yet to direct another feature, despite being one of the funniest people on the planet. In 1987, women directors rarely got chance to have a misfire, much less a second chance. Thinges might be a little better now, but budget issues will be closely watched. Glad to hear you enjoy the film as well. May has a nice ear for humor.